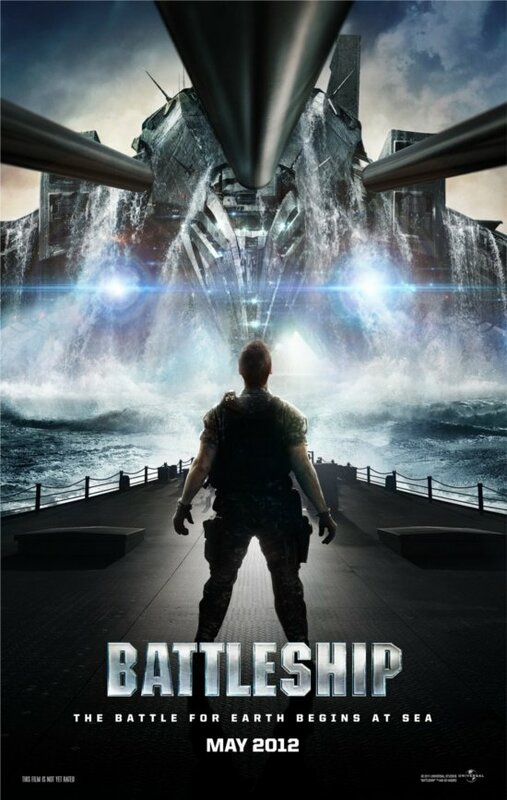 If you threw the trailers for Inception and Transformers 3 in a blender you’d probably get something similar to the Battleship trailer. I’m severely tempted to make jokes like the rest of you, but deep down I have faith in Peter Berg. The man gave us Friday Night Lights and The Rundown. Its hard for me to doubt him. Berg is on the record about his love for the Navy and desire to make a weird, big budget movie. He’s actually smart to play Hollywood’s game by sticking the known property’s name on his big weird movie. Hasbro wants this flick to be huge, so they’ll be throwing massive amounts of advertising dollars behind it. So hopefully this unlocks some doors for Berg, and hopefully we audiences get to benefit from it. Universal and Hasbro have also released a new poster for the film, which is below. Comments for The “Battleship” Trailer Has A Real Transformers-Vibe are now closed.